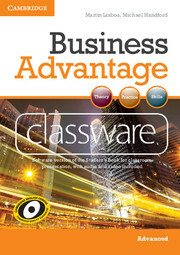 Business Advantage classware brings together onto one DVD-ROM the text, images, audio and video content from the Business Advantage Student's Book. This gives teachers a new and engaging way to present and use the material in class. Classware is easy to use and is suitable for teachers who are new to using technology and those who are more experienced. 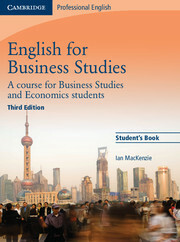 The software can be used with interactive whiteboards, portable whiteboard devices, or simply a computer and projector.